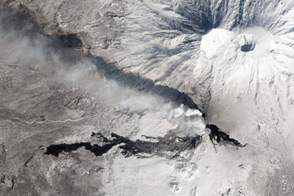 In late November 2012, Tolbachik Volcano on Russia’s Kamchatka Peninsula began erupting, the first time the volcano has been active in 36 years, according to Denison University volcanologist Erik Klemetti. Several days later, the volcano remained restless. 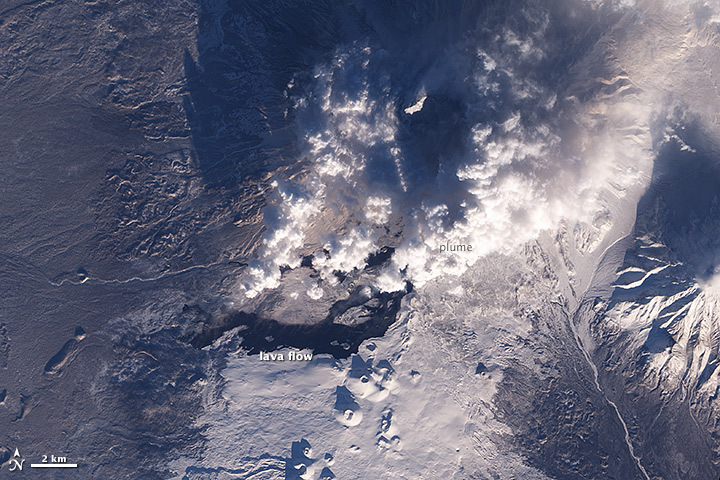 The Advanced Land Imager (ALI) on NASA’s Earth Observing-1 (EO-1) satellite captured two views of Tolbachik on December 1, 2012. The top image is natural-color and shows what our eyes would see from the sky; the bottom image is made from a combination of visible and infrared light. 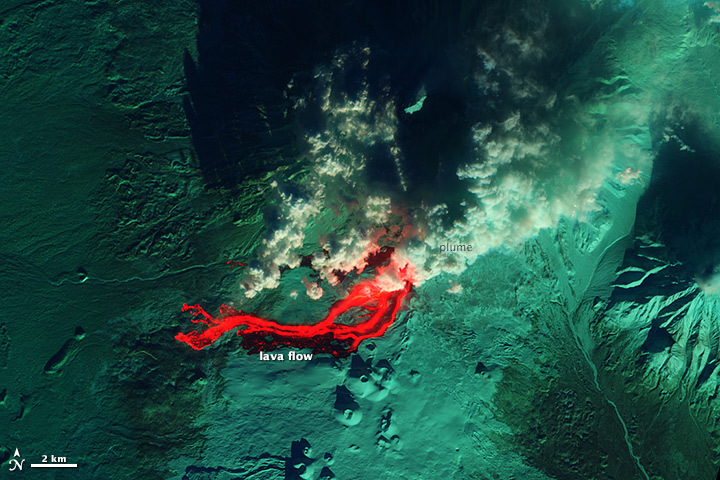 Both images show volcanic plumes and a lava flow. 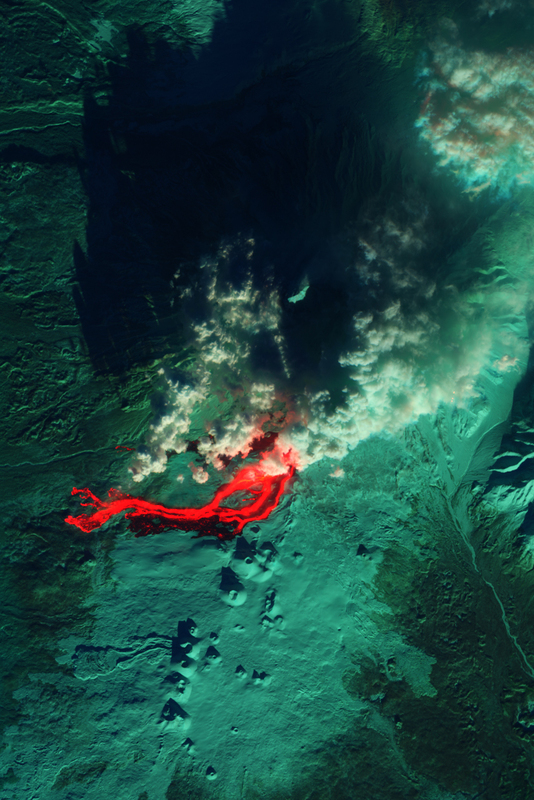 In the bottom image, parts of the lava flow glow bright red, an indication of high surface temperatures. 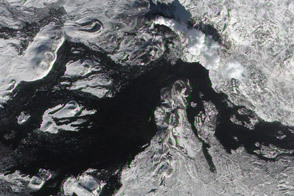 Klemetti reported that the eruption in late November occurred along two fissures. In these images, volcanic plumes—likely a combination of ash, water vapor, and other gases—apparently emerge from an east-west crack on the volcano surface. South of the plumes and the lava flow, multiple volcanic cones litter the surface of Tolbachik, casting shadows to the north in the low-angled sunlight. Tolbachik is a shield volcano—a low-profile, broad structure with a shape resembling an ancient warrior shield. 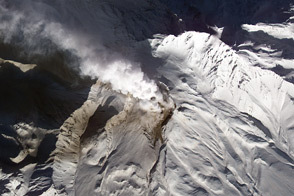 The volcano has a complex configuration, and the eruptive activity in late November reportedly occurred around the southern cone. NASA Earth Observatory images by Jesse Allen, using EO-1 ALI data provided courtesy of the NASA EO-1 team and the U.S. Geological Survey. Caption by Michon Scott. 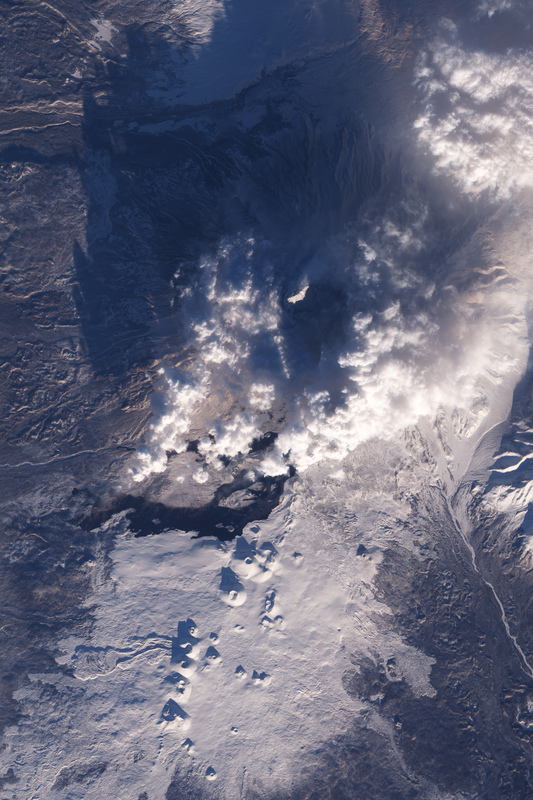 Acquired December 1, 2012, these images provide natural- and false-color views of restless Tolbachik Volcano. 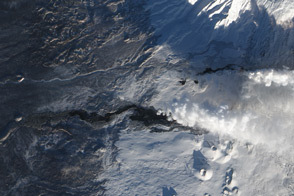 The eruption of Russia’s Tolbachik Volcano appeared to falter by September 2013. Global Volcanism Program. Tolbachik. Smithsonian Institution. Accessed December 4, 2012. 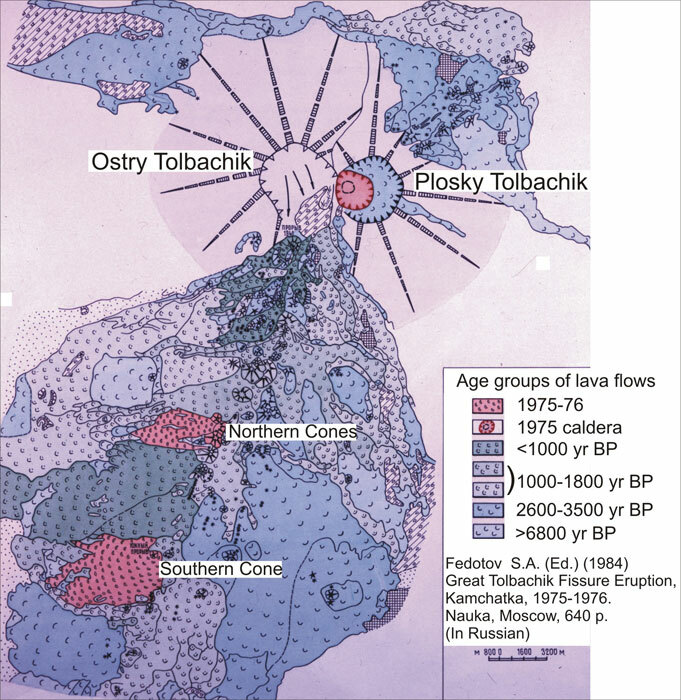 Klemetti, E. (2012, November 27) Russia’s Tolbachik erupts for first time in 36 years. 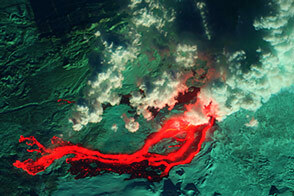 Eruptions Blog. Wired Magazine. Accessed December 4, 2012. 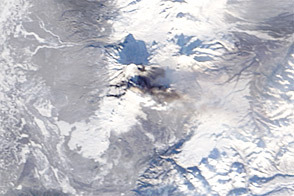 Klemetti, E. (2012, November 28) First images of the Tolbachik fissure eruption. 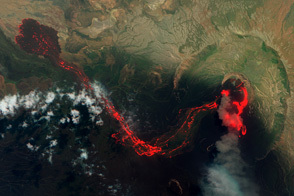 Eruptions Blog. 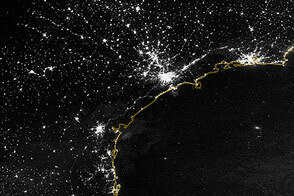 Wired Magazine. Accessed December 4, 2012.